Received my Google Wave invitation at last! Anyway, my account came with 20 invitations. Please leave a comment to this post if you are looking for an invitation. You don’t need to publish your email address at your comment's body, I’ll send the invitation to the email address you filled in the form. Invitations will be send first come, first serve basis. 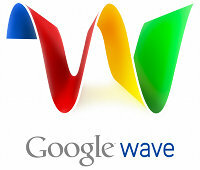 And, please don’t forget to come back and tell your first impressions about the Google Wave, I’d love to hear what yo think. UPDATE: All gone, no invitations left, sorry. Please don’t post anymore requests! Also, note that Google Wave’s invitation system is more like “nominating you for an invite” than “directly issuing you an invitation”. Since I “nominated” you for an invitation, it’ll take some time before you actually receive an invitation. I’ll let you know if I receive more invitations. You can subscribe to my feed, or follow me on Twitter (@alikuru) for updates.